We spent the last few days in Ottawa educating and alerting federal MPs about the devastating situation in Canada regarding Lyme disease & Co-Infections. It is so important that our politicians hear from as many people as possible that this is a major concern and we need urgent meaningful change. Below are some links you can click on to like, comment and share posts of our Government representatives to show them there is widespread support for this issue, which gives them a reason to learn more and be part of the solution. We would like to acknowledge and thank MP Tracey Ramsey (NDP – Essex ON) and MP Randy Hoback (PC – Prince Albert SK) for co-sponsoring this event. Dr. Ralph Hawkins, MD and Dr. Adrian Baranchuk, MD spoke to the medical concerns, Dr. Melanie Wills, PhD spoke about the science and Sue Faber, RN briefly shared the recent resolution on Lyme disease that was passed by the Registered Nurses Association of Ontario. 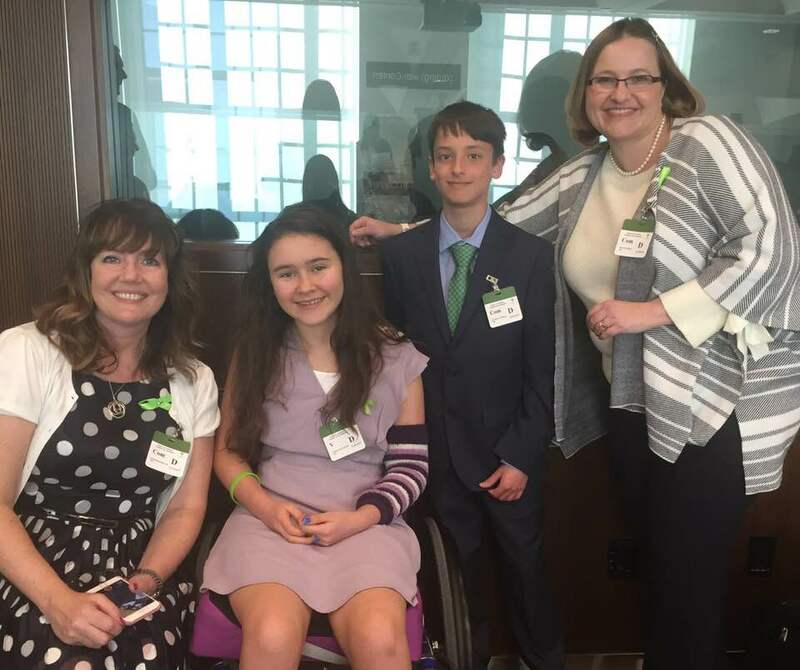 Finally we had two amazing young Lyme warriors – Daniel Stimers and Emma Smashnuk – educate and inspire with their stories about their struggles with Lyme and the work they are both doing to raise awareness so that other children don't have to face the same struggles. 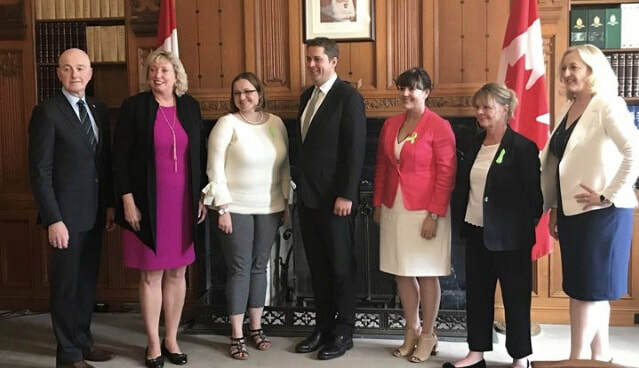 We were also very honoured to meet with MP Andrew Scheer (Regina Qu’Appelle), the Leader of the Official Opposition and the Leader of the Conservative Party of Canada, along with Hon. 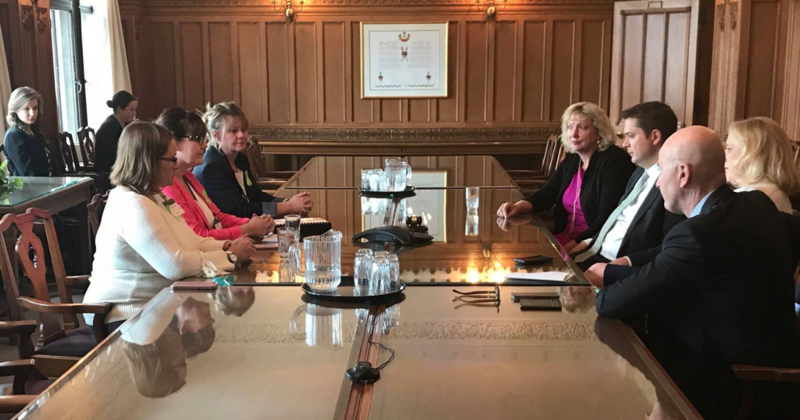 MP Lisa Raitt (Milton, ON), the Deputy leader of the Conservative party, MP David Sweet (Flamborough- Glanbrook, ON), the Parliamentary Caucus Chair of the Conservative Party and MP Marilyn Gladu (Sarnia, ON), the Shadow Minister of Health. Earlier in the week we also had the opportunity to meet with MP Len Webber (Calgary Confederation, AB), MP Rosemary Falk (Battlefords – Lloydminster, SK) and MP Kevin Waugh (Saskatoon-Grasswood, SK). We had the chance to share the numerous concerns being raised by Canadians coast to coast through this Petition. The Conservative Party of Canada is indicating that they are very concerned and were interested to hear about the necessary solutions. We all agree it’s time to recognize, address & treat these diseases so our kids get back to school and parents get back to work, and we stop the unnecessary waste of health care dollars caused by misdiagnosis and delay in treatment! It is so important for everyone to thank MPs who are showing support for this issue, and let them know your concerns, so they continue to make this a priority. Here are a few steps you can do, and consider adding this Petition link (http://bit.ly/2lfBuNL) to your post to encourage more Canadians to be aware and show their concern by signing and sharing. Thank you for your continued support, please continue to share this Petition. 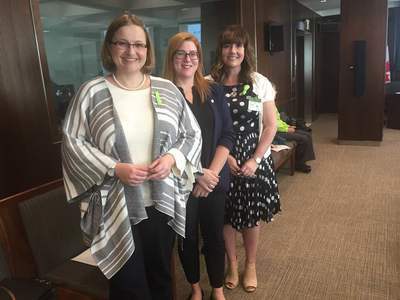 The Registered Nurses Association of Ontario (RNAO) voted through a resolution on Lyme disease 'Patient First Treatment for Ontarians with Lyme Disease' at their annual AGM conference in Toronto on Friday April 20th, 2018. **please note, 2 minor amendments were made to the below resolution adding in prevention programs for Lyme disease and strengthening some of the language used. We will update the resolution to reflect the changes with these amendments as soon as possible. Author: Sue Faber and co-authors: Catherine Kinsella, and Louela Manankil-Rankin. THEREFORE be it resolved that the Registered Nurses’ Association of Ontario (RNAO) advocate, at all levels of government, for the rights of all patients with symptoms consistent with Lyme and/or co-Infections to receive fair and proper treatment for both acute and multi-systemic chronic presentations of the disease in Canada; emphasizing healthcare provider education that acknowledges alternate modes of transmission, persistence of infection, and integration of a collaborative clinical model inclusive of ILADS guidelines in the treatment of this illness. Lyme Disease is a serious and rapidly growing public health crisis in North America, caused by the bacterium Borrelia burgdorferi. It is spread by ticks that are carried by migratory birds and animals such as deer and mice. In 2016, there were an estimated 178,000 cases in US States bordering Ontario (Centers for Disease Control and Prevention, 2017). Canadian scientists predict that by the year 2020, 80% of the population of Eastern Canada will be living in a tick-populated area (Leighton, 2012). Limitations of current testing (Health Canada, 2012) and treatment protocols have left thousands of Canadians improperly diagnosed and inadequately treated for the disease. Many have been forced to seek treatment outside of Canada at their own expense resulting in financial hardship, significant stress and strain on families (Boudreau, Lloyd, Gould, 2017). Bill C442 was passed in 2014 with a mandate of creating a national strategy for Lyme Disease, embracing a collaborative process of all stakeholders including patients (Bill C442, 2014). In May 2017, the Federal Framework for Lyme Disease was released (Public Health Agency of Canada, 2017). In June 2017, the House of Commons Standing Committee on Health called for a study of the Federal Lyme Framework (HESA, 2017). 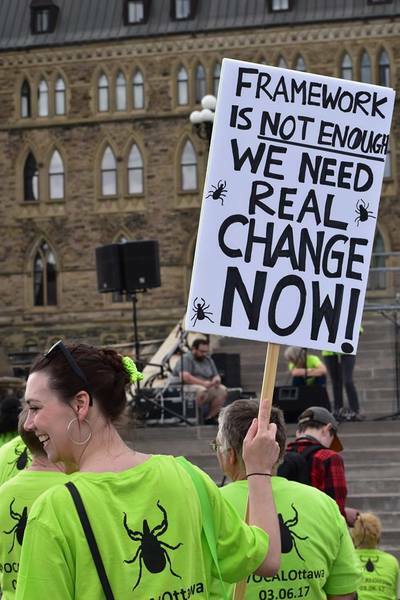 Canadian patients, advocates, nurses, treating physicians, scientists, and researchers agree that the Lyme Framework failed its mandate and is insufficient to drive meaningful patient-centered change in Canada (HESA, 2017). It neglects to acknowledge the vast body of peer reviewed literature which documents persistence of infection resulting in chronic Lyme disease (International Lyme and Associated Diseases Society [ILADS], 2015) as well as clear evidence of vertical transmission from mother to child in utero (LymeHope, 2017). It is silent to voiced concerns over other possible modes of transmission (sexual, blood supply, needle sticks, organ donation and other insect vectors). Alternate testing options are not addressed, it does not adequately address co-infections that may accompany Lyme disease and does not address treatment guidelines for chronic Lyme disease. 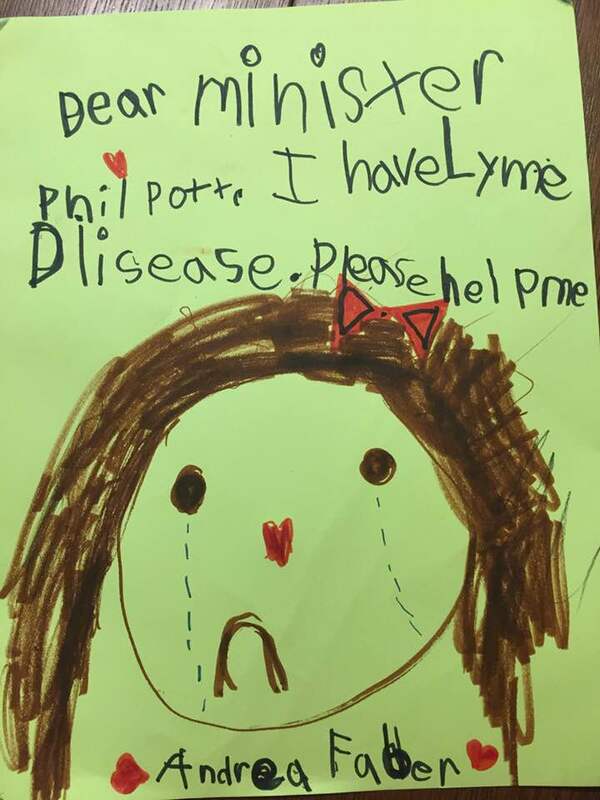 In a collective response to the failed framework, in August 2017, a petition with over 52000 names (Canadians Concerned About Lyme Disease, 2017), 14000 comments and 2700 personal letters from Lyme patients (Lyme Letters Canada, 2017) and their families were handed to the Federal Minister of Health and Chief Public Health Officer of Canada (Kingston, 2017). 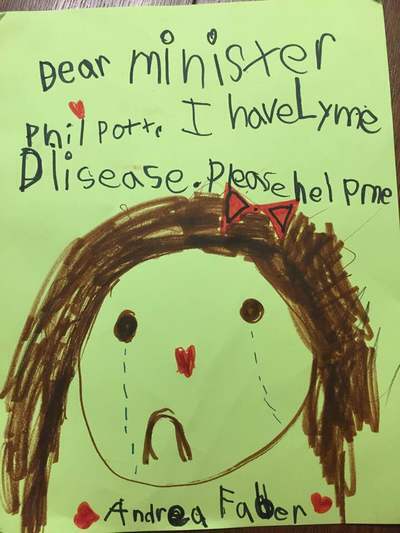 Patients have an important role to play through personal and public advocacy by presenting their lived experience to health professionals and decision makers including politicians at all levels of government (Federal Lyme Conference Patient Testimonies, 2017). Patients have the right to timely and appropriate clinical diagnosis and treatment of Lyme disease and all co-infections utilizing evidence-based and up to date guidelines developed by specialist bodies that include ILADS. The ILADS guidelines are currently the only guidelines endorsed and listed on the National Guidelines Clearinghouse that must meet the U.S. Institute of Medicine (IOM) standard for the development of clinical practice guidelines (NGC, 2014). 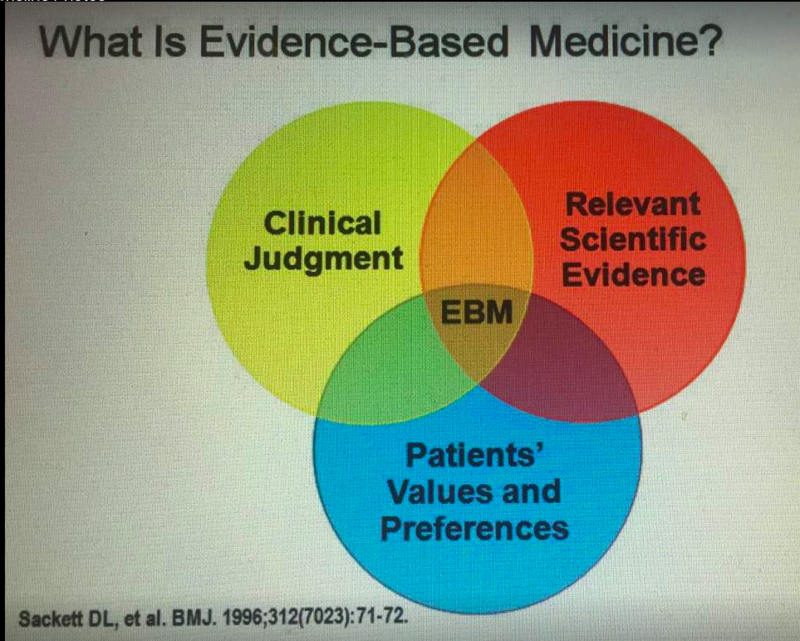 Evidence based practice obliges practitioners to respect patients’ values and preferences alongside clinical judgment and relevant scientific evidence (DiCenso, Gordon, Ciliska, 2005). Nurses have a critical role to play in education, facilitating awareness, early detection and patient advocacy in areas such as Public Health, Emergency Rooms, Physician and Nurse Practitioner offices, summer camps and through policy change. 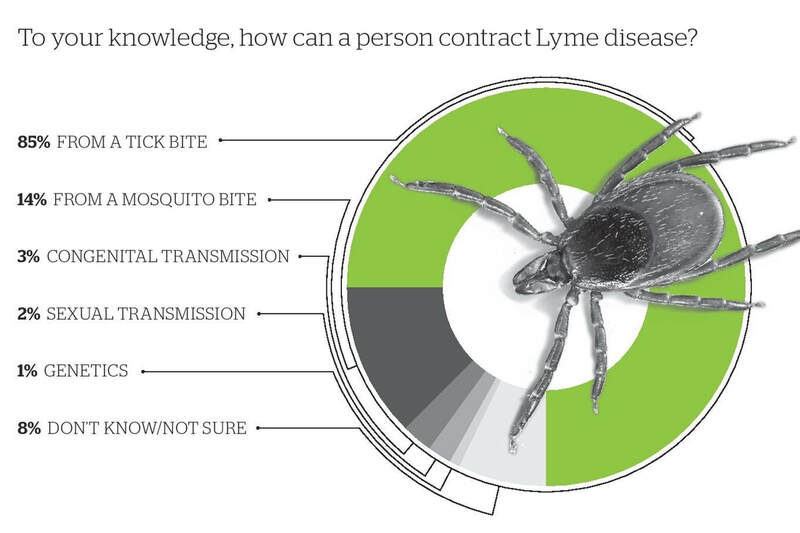 Education has the ability to lift the veil of uncertainty surrounding Lyme disease for both patients and healthcare professionals and to bridge the gaps that currently exist, enabling early diagnosis and appropriate patient-centered treatment. **Please note, 2 minor amendments were made but have not yet been updated to this resolution adding in education/prevention programs for Lyme disease and strengthening some of the language used. On Monday May 7th, Ms. Tracey Ramsey, M.P. 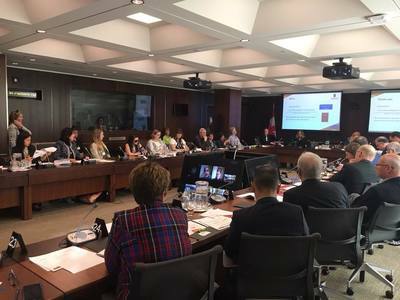 (NDP, Essex, Ontario) and Mr. Randy Hoback, M.P (Conservative, Prince Albert Saskatchewan) in partnership with LymeHope, CanLyme, the G. Magnotta Foundation for Vector-Borne Diseases and Provincial Lyme groups, is hosting an educational round table event on Lyme Disease in Ottawa. This event is for Federal MPs only (not for members of the public). This is a non-partisan initiative (open to all political parties). We hope to see as many MPs as possible in attendance, so that they can hear first-hand the seriousness of this rapidly growing health threat. MPs are responsive to the needs of their constituents, so we need your help to reach out to your federal MP and ask them to attend. 1. Click on the link below to find your federal MP by entering your home town or postal code. Your MP will show up and you can click on their name to get an email and office telephone numbers. 2. Copy and paste the agenda below into a personal email to your MP, tell them you are very concerned about Lyme disease and ask them to attend. 3. Follow up with a personal phone call to their Constituency and Ottawa office and ask your MP’s assistant to ensure this invitation is brought to their attention and the importance that they attend on your behalf. We will be in attendance at this round table and will provide a comprehensive update afterwards. Ms. Tracey Ramsey, M.P. & Mr. Randy Hoback, M.P. Ms. Tracey Ramsey, M.P. and Randy Hoback M.P. Daniel Stimers, age 11, founder of the L.E.T. Patient First Treatment of Lyme Disease. Emma Smashnuk, age 14, Lyme sufferer and advocate. 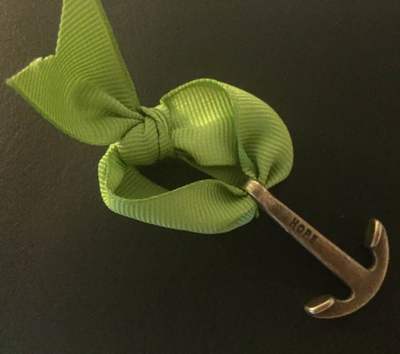 Founder of Emma’s Lyme Ribbon Campaign. Found in: Dattwyler R, Volkman D and Luft B. Immunologic aspects of Lyme borreliosis. Review of Infectious Diseases Vol 11(6), 1989. 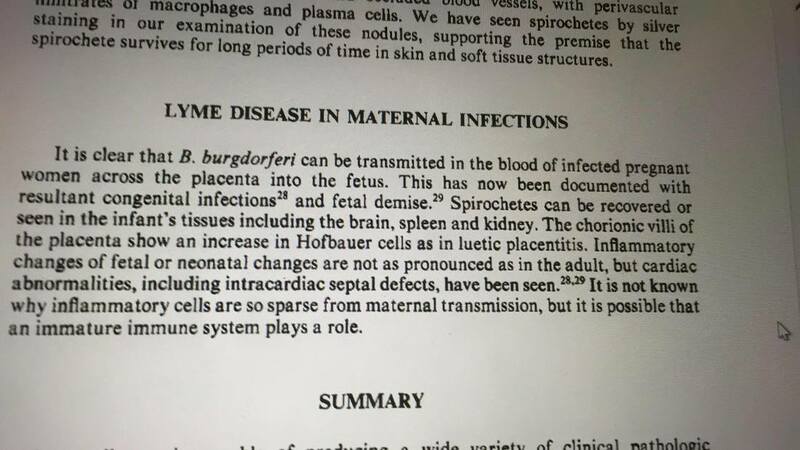 'In humans, B burgdorferi (Lyme) is capable of infecting the fetus. Sequelae (including abortion and fetal abnormalities) have been associated with infection. Borrelia-specific antibodies have been found in the CSF of an infant with evidence of neonatal neurologic dysfunction whose mother had been infected in the second trimester. The mother who was asymptomatic, had been treated with oral antibiotics and did not have diagnostic levels of antibodies to B burgdorferi at the time of parturition (authors’ unpublished observations). Effective therapy to eradicate borreliae on both the maternal and the fetal side of the placenta is essential, as persistent infection may be difficult to diagnosed after the initial course of antibiotics." 2: Researchers were interested in the outcome and followed her pregnancy. 4: At time of giving birth - Mom is SERONEGATIVE by standard testing - meaning she would not be positive on standard lyme tests. 7: A spinal tap on neonate reveals serological evidence of antibodies specific to borrelia in cerebral spinal fluid. 8: This is a congenitally infected baby. 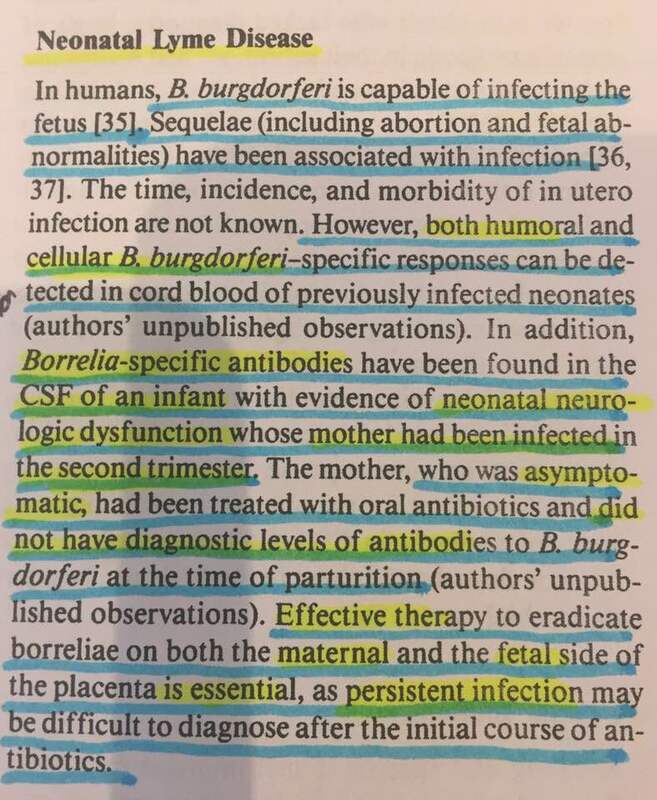 Borrelia burgdorferi has been transmitted from asymptomatic mom who was inadequately treated and seronegative - to her baby. 9: Authors go on to EMPHASIZE the importance of effective therapy to erradicate borreliae on both maternal and fetal side of the placenta - as PERSISTENT infection may be difficult to be diagnosed after the initial course of antibiotics . 10: Authors one-line recommendation based on this case has huge potential ramifications for management of pregnant moms infected with Lyme and their infants. Luft B, Gorevic P, Halperin J, Volkman D, Dattwyler R. A Perspective on the Treatment of Lyme Borreliosis. Review of Infectious Diseases Vol 11(6), 1989. 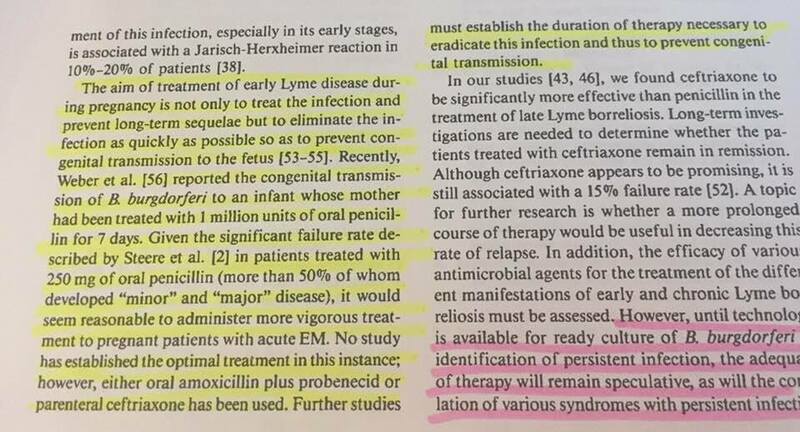 "The aim of treatment of early Lyme disease during pregnancy is not only to treat the infection and prevent long-term sequalae but to eliminate the infection as quickly as possible so as to prevent congenital transmission to the fetus. Recently Weber et al. reported the congenital transmission of B burgdorferi to an infant whose mother was treated with 1 million units of oral penicillin for 7 days. Given the significant treatment failure rate described by Steere et al in patients treated with 250mg of oral penicillin (more than 50% who developed 'minor' and 'major' disease). it would seem reasonable to administer more vigorous treatment to pregnant patients with acute EM. No study has established the optimal treatment in this instance; however either oral amoxicillin plus probenicid or parenteral ceftriaxone has been used. Further studies must establish the duration of therapy necessary to eradicate the infection and thus to prevent congenital transmission." Authors in this paper are concerned because congenital transmission IS happening/has been reported and they want to PREVENT congenital transmission and so they are questioning what the appropriate antibiotic therapy should be. This is not a question of it's 'plausible' or 'theoretically possible' that this alternate mode of transmission occurs. It IS happening. It has been PROVEN. ​The excerpt and picture above is from a top-tier, world renowned, medical journal and authored by medical doctors and researchers. Authors: Duray, P. and Steere, Alan, C. 1988. Annals of the New York Academy of Science Vol: 539:65-79 Correspondence: PAUL H. DURAY Department of Pathology Fox Chase Cancer Center Philadelphia, Pennsylvania ALLEN C. STEERE Department of Internal Medicine Division of Rheumatology Tufts University School of Medicine Boston, Massachusetts 02111. These authors were/are the leading Infectious Diseases Society of America (IDSA) researchers - they also worked with the Centers for Disease Control. 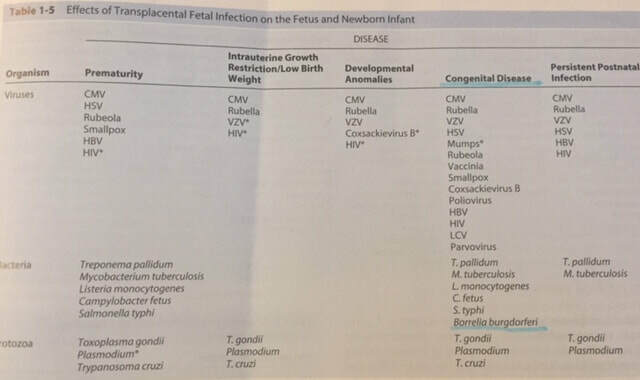 How many babies are being missed..who have a congenital infection with Borrelia burgdorferi causing their neurological condition or other symptoms, that, if identified and treated, could get better and indeed have quality of life? We have no idea because most physicians aren't aware and we aren't even looking and this alternate mode of transmission is not acknowledged. Borrelia burgdorferi can also be transmitted in-utero without a child ever having a tick bite. This has been repeatedly documented in case-reports and case series. 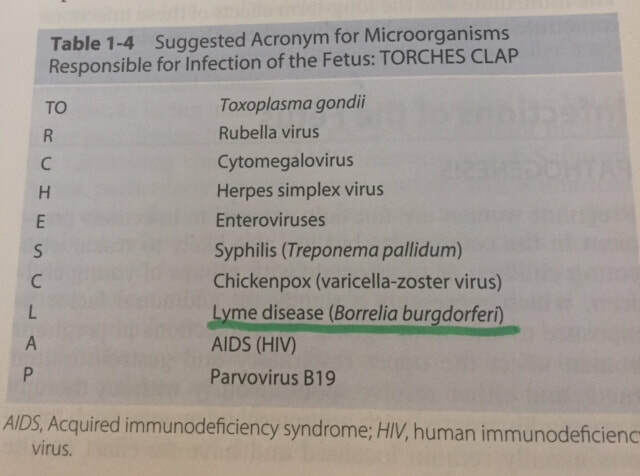 This makes sense considering all the other TORCHES infections can be transmitted in utero resulting in congenital infection and serious sequalae. In Table 1-5 - authors identify Borrelia burgdorferi as causing congenital disease. Maldonato, Y, Nizet, V, Klein, J, Remington, J, Wilson, C.
Current concepts of Infections of the Fetus and Newborn Infant. Below are some of the names of some of these physicians, researchers and scientists who published or reported on various aspects of maternal child transmission and or congenital Lyme borreliosis. ​This is an incomplete list. 6: Dr Raymond Dattwyler - Immunologist, Internal Medicine. Professor of Microbiology and Immunology - New York Medical College. 7: Dr David Volkman - Emeritus Professor of Medicine and Pediatrics SUNY, Stonybrook . 16: Dr R.C Johnson . 17: Dr. Klaus Weber MD, Dermatologist in private practice, Germany, trained at Harvard. 22: Dr Tessa Gardner - Infectious Disease Paediatrician. Trained at Harvard University. Author of Chapter 11 on Lyme disease as found in reference textbook - Remington and Klein's Infectious Diseases of the Fetus and Newborn Infant. 40: Dr Vera Maraspin - Department of Infectious Diseases, University Medical Centre, Ljubljana, Slovenia. 41: Dr J. Cimperman - Department of Infectious Diseases, University Medical Centre, Ljubljana, Slovenia. 42: Dr Lotric-Furlan - Department of Infectious Diseases, University Medical Centre, Ljubljana, Slovenia. 43: Dr Pleterski-Rigler - Department of Infectious Diseases, University Medical Centre, Ljubljana, Slovenia. 44: Dr Frank Strle - Department of Infectious Diseases, University Medical Centre, Ljubljana, Slovenia. Are you concerned by this as we are? Sign, comment and share our Lyme Petition. The Ontario government has issued 2 draft educational materials on Lyme disease - they are calling for public input on the materials until midnight Monday, April 16th. Your feedback is needed and appreciated. You do not need to live in Ontario to participate. The recommendation to physicians to offer a single-dose of an antibiotic after a tick bite must be removed. As the U-Tube video by Dr. Holly Ahern (a microbiologist) explains, this single dose would not prevent Lyme disease and could in fact cause patient harm. This protocol is called the single-dose prophylaxis or on the flow chart, it is called "post-exposure prophylaxis”. Several leading authorities on Lyme disease warn this approach is not backed up by science, and is ineffective. Furthermore, the most up to date treatment guidelines (2014) for Lyme disease published by the International Lyme & Associated Diseases Society (ILADS) state: “The potential harms of the single-dose oral doxycycline prophylactic regimen and the magnitude of those harms significantly outweigh its benefits”, and “Clinicians should not use a single 200 mg dose of doxycycline for Lyme disease prophylaxis.” (ILADS Guidelines, Recommendation 1a). Dr David Volkman, Ph.D., M.D. Emeritus Professor of Medicine and Pediatrics SUNY, Stony Brook, NY Background: Board certified in Immunology, Diagnostic Laboratory Immunology, and Internal Medicine, and Board Eligible in Infectious Diseases - speaks to his concerns about the single dose doxy and other issues in a paper he wrote several years ago - these concerns remain relevant today. ​The emphasis on seeing a tick, the “Lyme rash” and exposure to areas that have been designated as “endemic” need to be removed. Medical professionals should be educated that ticks can be anywhere, that many people never see a tick bite or a rash, and there are numerous different symptom presentations other than the classic “flu” presentation. It suggests that you can only get Lyme disease if you live in a designated “endemic area for ticks” – yet we know that ticks are carried and dropped by wild and domestic animals, migrating birds and humans and can be found anywhere. The Fact Sheet focuses heavily on prevention, but does not educate people about the poor quality of our current testing, or the numerous wide range of symptoms. These documents need to be improved upon before they will good sources of education for the public and our doctors! There are numerous resources you can use to back up your comments here, including a detailed memo prepared by Ontario researcher John Scott below. Patients, family members, friends, and human/animal health care providers – everyone from any country – is encouraged to comment! Your feedback is needed to change the way physicians treat Lyme disease and to ensure the public is properly informed! Please share and share again! 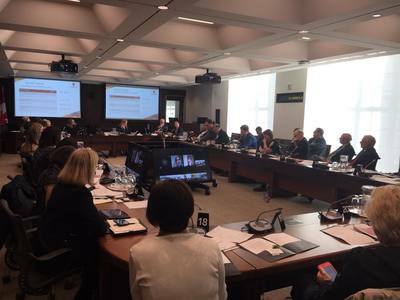 You can also share feedback by participating in a virtual Town Hall Meeting which will be set up by the Government of Ontario – details will be shared as they become available. Thank you as always for your continued engagement and support. Patient First Research. Patient First Engagement. Patient First Values and Preferences. Patient Questions. Making an Informed Choice. As you know, the federal government announced $4 million of funding for Lyme disease. The funding process has started, and patients are starting to receive invitations to participate in various ways. Patient participation is typically a requirement for funding. 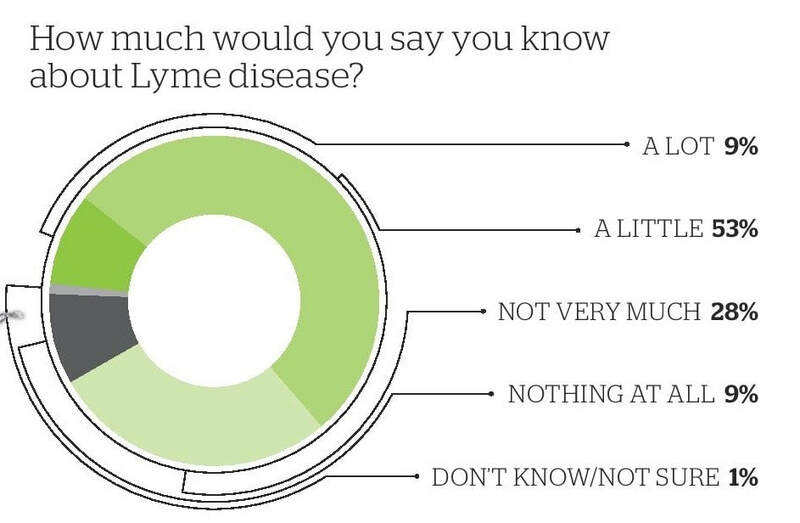 2. the Canadian Lyme Consortium (CLC). The Canadian Lyme Consortium has prepared a letter for the Lyme disease community to introduce themselves and articulate their vision for Lyme research and patient role which you can download below. Dr. Vett Lloyd, member of the Canadian Lyme Consortium leads the The Mount Allison Lyme Research Network which is an interdisciplinary group of researchers in the sciences, social sciences and humanities, jointly supported by Mount Allison University and the Canadian Lyme Disease Foundation. 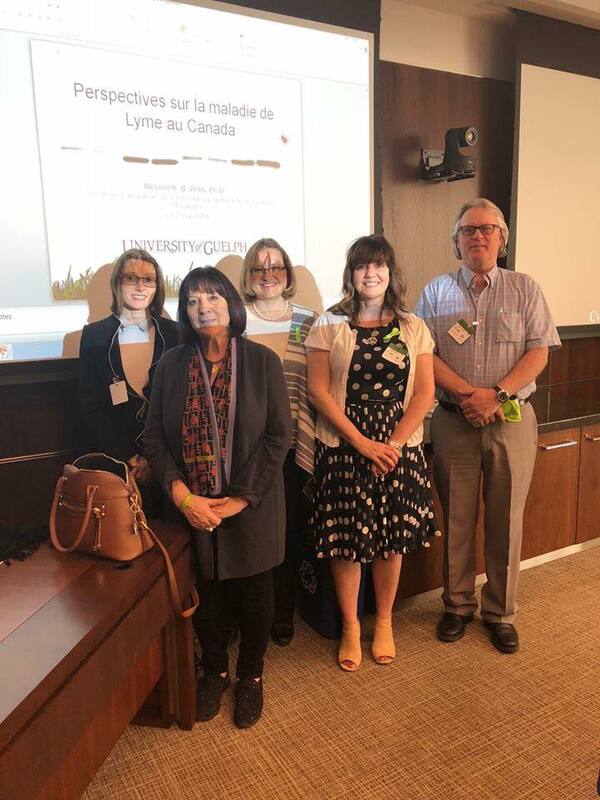 Special thanks to Rossana Magnotta and the G. Magnotta Foundation as well as CanLyme for their dedication and support in establishing the G. Magnotta Lyme Disease Research Lab at the University of Guelph. ​Thanks To CanLyme for providing funding to Mt Allison Lyme Research Network. Who will I be supporting / working with: Who are all the participants in the network? Memberships: Do any of the members of the network belong to AMMI (Association of Medical Microbiologist and Infectious Disease Canada) or IDSA (Infectious Disease Society of America)? Do any of the members of the network work for Canadian or U.S. public health / CDC? This is important to ask because membership in (or a job with) an organization that has a “position” on Lyme disease may make it difficult for members to disagree or take an opposing position. Conflicts of Interest: Have (or will) all the network participants been required to disclose all potential conflicts of interest such as test kit patents, vaccine patents, financial support from Pharmaceutical companies, insurance companies etc. Research Priorities: What are the specific areas of research that will be explored? If related to testing, will any other tests other than the current 2-tier test protocol be explored? If related to treatment, will treatments beyond the standard 2-4 weeks be explored? Project Design & Approval: How will research projects be approved and by whom? If patients are being invited into this process, will patients get a vote? Peer Review: Will results of the research projects be subject to publication? Will patients be included in a pre-publication peer review process? Confidentiality: Will the results of any findings from my participation be released to me? Will they be treated confidentially by the research team and in publication? Will my participation be disclosed to anyone without my consent? Exclusivity: If I participate with this network, will it mean I cannot also support or get involved with other research networks or research priorities? Donation of Personal Samples (i.e. saliva, blood, tissues): If being asked for a personal sample for a biobank, you should understand exactly what the samples will be used for (the specific research topic, whether it will be saved or destroyed, all other possible uses for the sample, a list of the steps that will be taken to protect your medical information, whether or not you have the ability to withdraw your sample (and/or to ask for it to be destroyed) from a project at any point along the way, exactly who will have access to it and for what purpose, will I be informed if any health data is extracted from my samples, such as identification of bacterial/viral infections, etc.). This is perhaps the most important subject – no one wants to find out they donated a sample thinking it will be used to evaluate different treatments to later find out your sample was used for a different purpose, for example, future vaccine development. Ask - will I have the specific right to know the exact research topic and design before I commit to allow my personal sample to be used? Prior Research & Stance on Lyme disease: Can you point me to some previous Lyme-related research published by members of the research network (this can help you understand where their prior focus on Lyme disease has been). Our motivation is to empower patients to understand the implications and give informed consent. The CLC is still in early stages, working on a website and details about how and when you can sign up when the registry is ready - we will send out that information as soon as it is available. Full disclosure: LymeHope has been invited to participate in the CLC as a patient representative. LymeHope has made the decision to support the CLC. Our goal here is to provide information, to be transparent about LymeHope’s decision and reasons, as well as provide guidance to patients as to how to evaluate and make their decision whether and how to get involved. Aside from participating in and supporting the CLC, we have no financial ties or conflicts of interest to disclose. Our intention is not to discourage anyone from participating in either or both networks; this is a personal decision. Transplacental Transmission and adverse outcomes of Lyme Disease - 32 years of documentation. Transplacental transmission resulting in congenital infection of Borrelia Burgdorferi (Lyme) has been documented and accepted over the last 33 years (1985 to 2018) by multiple International physicians, researchers, scientists and other experts. The World Health Organization has now added Congenital Lyme Borreliosis to the ICD-11 codes.